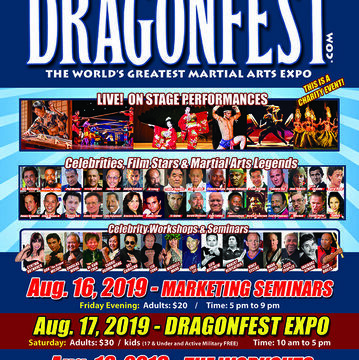 Yes, that time is upon us as we prepare for the greatest martial arts expo in the world! 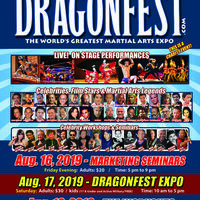 Now, a 3-day event, Dragonfest will be August 16, 17, 18. Held at the Pickwick Gardens Convention Center, we will have an even bigger area, nearly twice as big as last year. 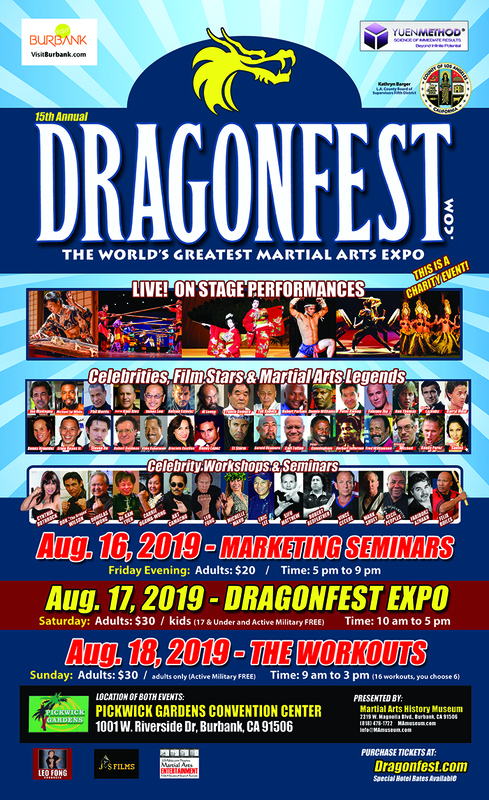 Close to 170 booths, you will enjoy cultural performances, martial arts, music, Q&A with the stars, mini-seminars and so much more. Don’t miss it! This is a Charity event. 100 percent of the proceeds goes to the Martial Arts History Museum in their effort to move to larger location. Meet some of the biggest icons and celebrities of all time and even workout with them.